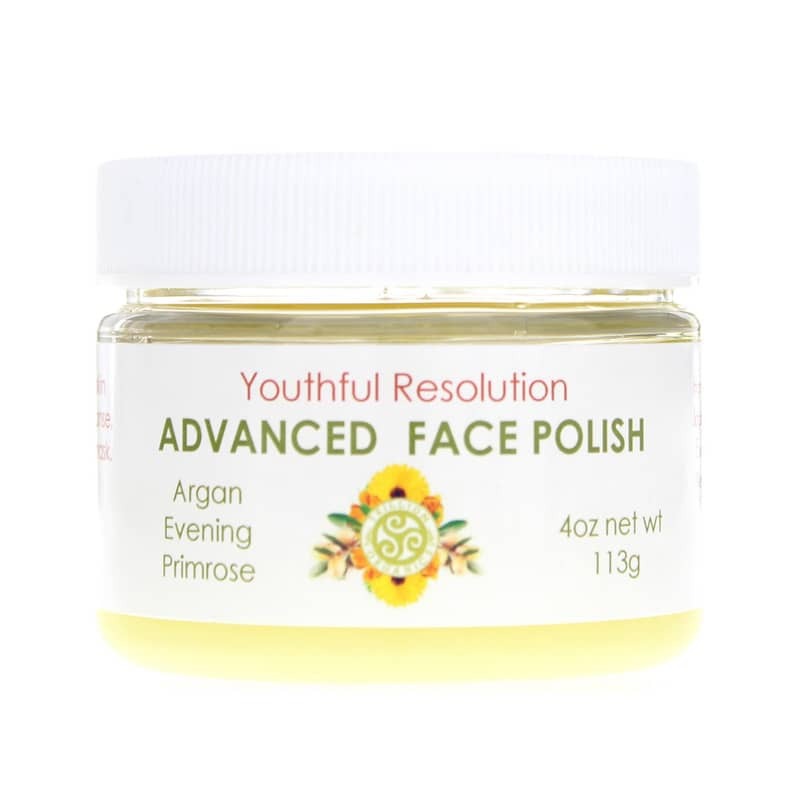 Advanced Face Polish with Argan, Evening Primrose and Cranberry by Trillium Organics is a deeply moisturizing natural and organic wrinkle smoothing facial treatment. Ultra fine salt crystals gently exfoliate, and purify the skin. 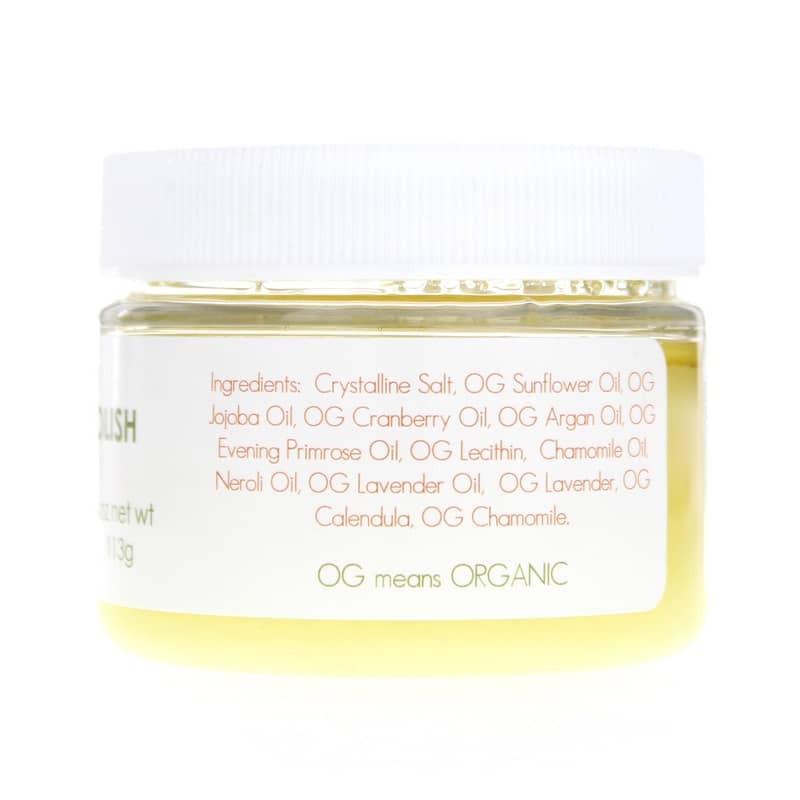 Contains light blend of Organic Oils and Essential Oils to moisturize the skin. Can be used as a daily moisturizing facial wash, or left on longer to enhance the skins deep absorption of the therapeutic oils. Skin that is showing signs of aging needs free-radical fighting antioxidant botanicals. Cold pressed Cranberry Oil, a rich source of Vitamin A, Potassium, Calcium, and Iron, reduces signs of age. Cranberry Oil also contains "Gamma tocotrienols" a rare and aggressive form of Vitamin E. The balanced Omega 3-6-9 essential fatty acids help to improve the density of the Acid, an extremely powerful antioxidant. Evening Primrose Oil is a rich source of Gamma Linoleic Acid, nutrients in the formulas whole oils work with lipids to prevent dehydration of the skin, long after the polish is done. In all, this is a deeply moisturizing, wrinkle smoothing facial treatment that is unsurpassed in Organic formulation. Bathed in pure Lavender essential oil, this is the perfect soap free daily facial wash. Herbal Infused Organic Olive Oil brings skin soothing Calendula into the emollient blend. Skin loving Jojoba oil, and lightly moisturizing Safflower oil complete this moisturizing wash leaving skin supple and glowing. Advanced Face Polish moisturizes more than a lotion, cleanses more profoundly than any soap, and promotes healthy skin in balance with nature, and in balance with the body it protects. Crystalline Salt, Organic Sunflower Oil, Organic Jojoba Oil, Organic Cranberry Oil, Organic Argan Oil, Organic Evening Primrose Oil, Organic Lecithin, Chamomile Oil, Neroli Oil, Organic Lavender Oil, Organic Lavender, Organic Calendula, Organic Chamomile. Gently smooth over skin then rinse, to exfoliate and cleanse or leave on for 3 to 5 minutes as mask. I use the Advanced Face Polish almost every night with a skin polishing machine. Have had great results. Skin feels so smooth. And it isn't harsh or irritating as I have found some other products to be. Smells good too! On the polish it was kind of messy to use, and the salt in it was not easy to remove.